The African Development Bank (AfDB) has announced the appointment of Ms. Oley Dibba-Wadda as Director of Human Capital, Youth and Skills Development with effect from 1st July, 2017. “Oley is a well-respected leader in the field of education and her leadership has been inspiring in mobilizing African decision makers to focus on human capital and youth development on the continent. 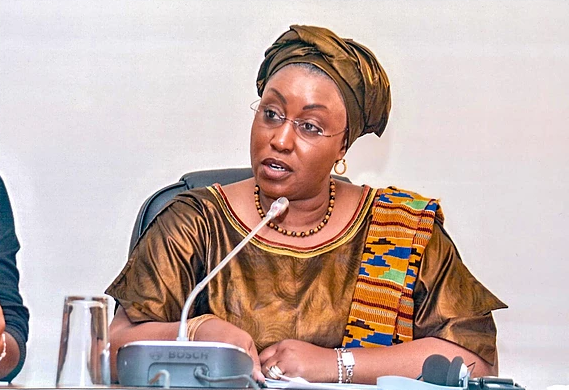 Her extensive experience, passion and commitment to the education of girls and skills development for the youths, will help advance the Bank’s focus on building Africa’s workforce of the future and creating jobs for the youths,” said Akinwumi Adesina, President of AfDB. A citizen of The republic of The Gambia, Oley Dibba-Wadda is a strategic analyst and expert in international development policy and programming, particularly on education and gender equality in Africa. She is a mentor, a motivational speaker and a Certified Life and Spiritual Coach. She is the Founder, President and CEO of the Gam Africa Institute for Leadership (GAIL) and has lead multicultural and multidisciplinary Pan African development organisations and is the current Executive Secretary of the Association for the Development of Education in Africa (ADEA) hosted by the African Development Bank (AfDB). Oley is also the Author of the book titled, “Memoirs of An African Woman on A Mission”.